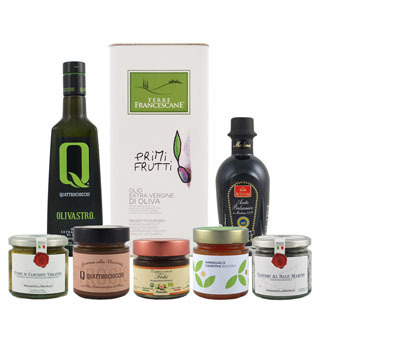 The extra virgin olive oil produced by the Fazari Company of Calabria is pressed from locally-grown Carolea and Ottobratica variety olives. The oil presents excellent aromatic notes of herbs, white apple and ripe tomato. Its taste is well-balanced, harmonious and elegant with notes of dry fruit and herbs with a pungent, sweet almond finish.